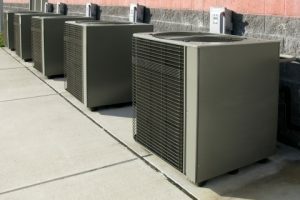 Whether your home is getting its first air conditioner, or you are replacing an old unit that is on its last legs, it’s important that your installation is done well. Improper installation can damage the unit and cause it to work poorly, which means your monthly energy bills could be higher than normal. 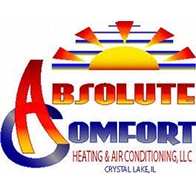 To get the best work out of your air conditioner, call the team at Absolute Comfort in Crystal Lake today. We will make sure that your unit is correctly installed and ready to make your home a more comfortable and pleasant place to be during the sweltering summer heat. Our friendly and professional team of experts will install your AC quickly and safely, ensuring that your home or business is kept cool throughout the summer. We work hard to utilize the most energy-efficient unit models, for the benefit of not only the planet, but for your electric bill as well. Everyone at Absolute Comfort is wholeheartedly committed to ensuring that you are getting the most out of your air conditioner, and we will do everything in our power to ensure that happens. We pride ourselves on our excellent customer service, so do not hesitate to get in touch with us if you have any questions, comments, or concerns regarding our air conditioner installation services. We look forward to hearing from you. We offer free estimates on air conditioning installations! Updating your home’s air conditioner can make your house much more comfortable during the summer, but picking the right AC unit can sometimes be a challenge. Your old air conditioning system can’t keep up with your cooling demands, and instead of constantly repairing it, you’ve decided to replace it. However, you want to choose one that’s the right size for your home and the right price for your budget. At Absolute Comfort, our team can help you pick a new AC and install it in no time at all. One of the most important aspects of your new air conditioner is of course its energy efficiency. You want a unit that’s going to adequately cool your home without costing you a fortune every month. This efficiency comes from choosing the right unit size for your home, as an AC that’s too small will have to work overtime to keep your house at a comfortable temperature, and one that’s too large will consume more energy and perhaps switch on and off more than it should. Our experienced HVAC team will show you a number of AC models and recommend the best one to fit your energy-efficiency needs. Once you’ve chosen a new AC unit, it’s important to have a trusted team that can properly install it. No matter where your air conditioner will be placed, we can make sure that everything is connected and running smoothly before we leave. We install all makes and models, including, but not limited to, Carrier, Trane, Goodman, York, and Rheem units. 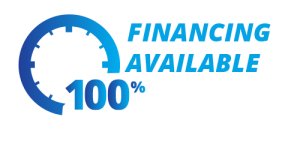 If you have questions about financing, we can help there as well, and we also have information on rebates for high-efficiency models. If you’re always fighting with your AC to keep your house cool and comfortable during the summer, call us at (815) 893-9276 today to discuss new air conditioner installation. We look forward to hearing from you!